Check the journey of last 50 years of Delhi High Court. Delhi High Court is celebrating the golden jubilee of its its establishment on Oct0ber 31, 2015. On October 31, 1966, Delhi High Court was established after the date was notified as the appointed date under Section 3(1) of the Delhi High Court Act, 1966. While the Court celebrates this occasion, let’s have a look at the journey of this institution. Prior to independence, the High Court of Judicature at Lahore, established by a Letters Patent dated March 21, 1919 by virtue of the powers conferred to the Crown by Section 113 of the Government of India Act,1915, exercised jurisdiction over the then provinces of the Punjab and Delhi. After the Lahore High Court was established, Chief Court of Punjab, which was functioning for previous 53 years, was abolished. After the Indian Independence Act, 1947 was notified in 1947, India and Pakistan were separated as two different dominions and the erstwhile old province of Punjab was divided into West Punjab (Pakistan) and East Punjab (India). As Lahore remained with Pakistan, a new High Court was to be set up for the East Punjab. On August 15, 1947, the East Punjab High Court of judicature was established at Shimla by the Governor General’s High Court (Punjab) Order 1947 issued under Section 9 of the Indian Independence Act, 1947. This new high court being a successor of Lahore High Court, observed the decisions of Lahore High Court as binding on itself on the principle of stare decisis. This historical building at Shimla was burnt down in January 1981. After the coming into force of the Constitution of India on January 26, 1950, East Punjab came to be known as Punjab and the name of the High Court was so changed though the seat of the High Court remained at Shimla. In 1952, a circuit bench of Punjab High Court was created for Delhi by the Governor General under the power conferred on him by Clause 33 of the Lahore Letters Patent. This bench which dealt with the cases pertaining to the Union Territory of Delhi and the Delhi Administration. As the litigants from the state of Punjab had to travel to Shimla for their cases, the seat of Punjab High Court was shifted to Chandigarh along with the shift of the Secretariat of the Punjab Government to Chandigarh in 1954-1955. The present day High Court of Punjab and Haryana operates from the same campus. The erstwhile states of Patiala and East Punjab State Union (Pepsu) had its own High Court known as ‘Pepsu High Court’. However after the States Re-organisation Act, 1956 was enacted, the State of Pepsu was merged in the State of Punjab. Subsequently, the two High Courts were merged and the judges of the High Court of Pepsu became Judges of the Punjab High Court raising the strength of the Punjab High Court from original 8 Judges to 13 judges. After the Delhi High Court Act, 1966 was enacted, a separate High Court was constituted for the Union Territory of Delhi and three Judges of the Punjab High Court were transferred to Delhi High Court. From October 31, 1966, Punjab High Court also ceased to exercise jurisdiction in respect of Union Territory of Delhi and all the cases arising within the jurisdiction of Delhi High Court were transferred from the Punjab High Court to the High Court of Delhi. Initially, Delhi High Court exercised jurisdiction also over Himachal Pradesh along with the Union Territory of Delhi. The Himachal Pradesh Bench of the Delhi High Court, at Shimla operated from a building called Ravenswood. The High Court of Delhi ceased to exercise its jurisdiction over Himachal Pradesh after the State of Himachal Pradesh Act, 1970 was enforced on January 25, 1971. 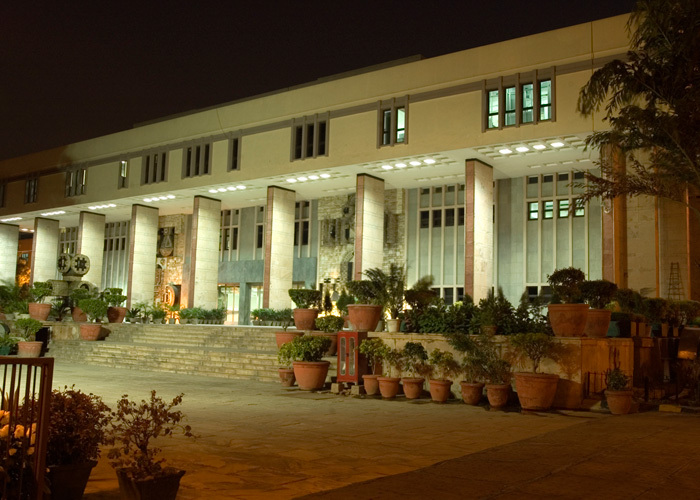 The Delhi High Court was established initially with four Judges. Justice KS Hegde was the first Chief Justice of the Delhi High Court and the other three judges of the court included Justice ID Dua, Justice HR Khanna and Justice SK Kapur.